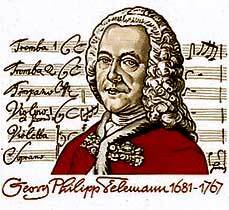 Familiar to concertgoers and amateur musicians today as the prolific composer of pleasing and not-too-demanding instrumental music, Georg Philipp Telemann (1681-1767) was as much admired in his own day for his operas, passions, and sacred and secular cantatas as for his concertos and chamber music. A largely self-taught composer and performer from a young age, he held a number of important civic and court positions in Germany before settling in Hamburg as Kantor of its five principal churches. While his contemporary Johann Sebastian Bach chafed at the restrictions imposed on him by the town council and produced no more than five cycles of cantatas for the Lutheran church year during his twenty-seven-year tenure as Kantor in Leipzig, Telemann is known to have composed some thirty-one cycles. In addition he served as musical director and frequent composer for the Hamburg opera, conductor of the Collegium Musicum, and highly successful publisher and promoter of his own compositions. Contemporary theorists and critics praised Telemann’s music for just those qualities of ease and apparent artlessness — characteristics of the more forward-looking galant style — that they found lacking in the elaborate counterpoint of composers like J.S. Bach. The idea of performing an entire cycle of cantatas at their appropriate time in the liturgical calendar originated with Newton Baroque’s director, organist and harpsichordist Andrus Madsen, who had already presented a number of Telemann’s vocal works, including the St. John Passion of 1737. The collaboration with Exsultemus brings together some of the Boston area’s most accomplished singers and instrumentalists in a bold endeavor that is sure to put Telemann’s too-long neglected vocal works on the musical map.